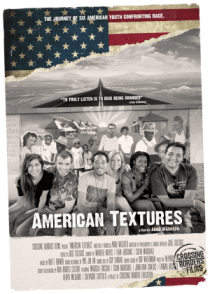 The third of Crossing Borders Films' intercultural trilogy, American Textures is a feature documentary that follows six creative individuals of Black, White and Latino origin on a journey through diverse communities in the southern United States. 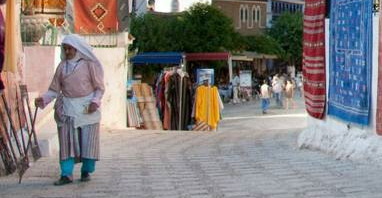 The journey pushes them to risk sharing their own stories, struggles and dreams. The honest confrontations, powerful discoveries, and growing empathy between them create vibrant doorways through which these true heroes forge deeper understandings of themselves, each other and the world they live in. American Textures responds to the deep racial divisions that shape the daily life of American society. It is designed as a Community Social Engagement Project that actively supports the creation of intercultural dialogues and the growth of interracial empathy. This emotional story of interracial interactions is only the beginning. The real story will unfold when individuals use American Textures to initiate interracial dialogues within their homes, schools, churches, town halls and communities across US society. In collaboration with National Geographic Education, Crossing Borders Films has created a web based tool which explores issues covered in Americal Textures. It is available for free on National Geographic's website. Our partner Crossing Borders Education has also created a series of educational toolkits using clips from this and our other films. Stay in touch by joining our mailing list and get free educational tools and updates on our projects.